What is it about the Rebbe that exudes so much love – that makes him so immanent – binding Jews from every walk of life to him so deeply? 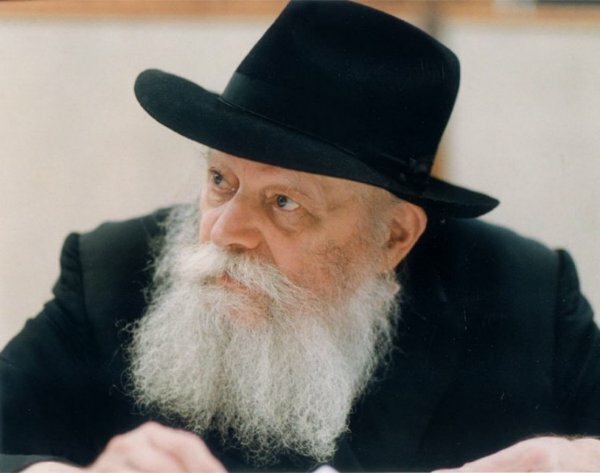 The Lubavitcher Rebbe, Rabbi Menachem M. Schneerson, this century’s most dominant Jewish figure, is clearly the one individual singularly responsible for stirring and awakening the conscience and spirit of post-holocaust world Jewry. Often described as the most phenomenal Jewish personality of our time, “the Rebbe,” as he is reverently referred to by millions of followers and admirers around the world, radiates hope, motivation and encouragement in an era rent with confusion and despair. The Rebbe is seventh in the lineage of Lubavitch leaders, which began in the 18th century with Rabbi Schneur Zalman of Liadi, author of the basic work of Chabad philosophy – Tanya, and the Code of Jewish Law. The Rebbe was born in Nikolaev, Russia, on the 11th day of Nissan, 1902, to Rabbi Levi Yitzchak and Rebbetzin Chana Schneerson. The Rebbe’s father was a renowned Kabbalist and Talmudic scholar. The Rebbe’s mother was an aristocratic woman from a prestigious rabbinic family. From early childhood the Rebbe displayed a prodigious mental acuity and soon had to leave the cheder because he was far ahead of his classmates. His father engaged private tutors for him and, after that, taught him himself. By the time he reached his Bar Mitzvah, the Rebbe was a Torah prodigy. The Rebbe met the sixth Lubavitcher Rebbe, Rabbi Yosef Yitzchak Schneersohn, in 1923, in Rostov, Russia. In December, 1928 the Rebbe married Rebbetzin Chaya Moussia, second daughter of Rabbi Yosef Yitzchak. The Rebbetzin, well educated and accomplished in her own right, is known throughout the Jewish world for her exceptional erudition, leadership and compassion, yet unpretentious and humble demeanor. On June 23, 1941, the Rebbe and the Rebbetzin arrived in the United States, having miraculously escaped the Nazi onslaught. His father-in-law, who had arrived in the United States a year earlier, appointed him to head Chabad’s newly formed educational, social service, outreach and publication organizations. 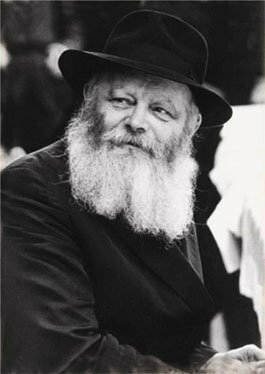 After the passing of Rabbi Yosef Yitzchak Schneersohn on the 10th of Shevat, 1950, Rabbi Menachem M. Schneerson ascended to the leadership of the flourishing movement. Motivated by a profound love for the Jewish people, the Rebbe launched an unprecedented program to bring Judaism to every individual Jew, wherever he or she may be. Inspired by the Biblical mandate: “And you shall spread forth to the West and to the East and to the North and to the South” (Genesis 28:14), the Rebbe established a corps of shluchim (Lubavitch emissaries) and charged them with establishing Chabad-Lubavitch centers in every corner of the world. These dedicated men and women reflect the commitment of Lubavitch to the entire Jewish people. It is no wonder that, for many communities throughout the world, Chabad-Lubavitch, with its vast array of educational and social service programming, has become the central address for all matters Jewish. 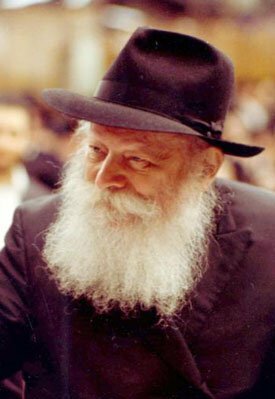 Throughout his years of leadership of Chabad-Lubavitch, the Rebbe established Chassidism – the study and practice of the Torah’s teachings of kindness – not as one of the limbs, but as the heart and life of Judaism, with its emphasis on love for one’s fellow, and serving G-d with joy. During more than four decades of inspired leadership the Rebbe made Lubavitch the world’s largest Jewish outreach organization. Today, some 3,300 Chabad-Lubavitch institutions span more than fifty-five countries on six continents. These educational and social-service institutions serve a variety of functions for the entire spectrum of Jews, regardless of affiliation or background. Programs geared to humanitarian endeavors reach out beyond the Jewish community, to all people. In Israel, the “Chabadniks” are particularly endeared to all. Their programs reach all segments of the community, and they enjoy the respect of the population, regardless of affiliation. From the soldier stationed on the front to the farmer on the kibbutz, feelings of veneration and respect for the Rebbe run deep, as all have benefited in some way from his concern. It was in Russia, specifically from the small Belarus town of Lubavitch (literally ‘city of love’) that Chabad-Lubavitch was born more than 200 years ago. A history of heroic, clandestine efforts by Lubavitch kept Judaism alive under the most oppressive and excruciating circumstances conceivable, before and especially after the Bolshevik revolution and during the Communist regime. When the Soviet Union crumbled, Lubavitch emerged from the underground and the work continues publicly unabated. The Rebbe’s emissaries have established some 200 institutions for Jewish learning and humanitarian aid throughout the FSU. Under the Rebbe’s guidance, Chabad Lubavitch publishes and distributes millions of books, pamphlets, cassettes, DVD’s and educational materials in Hebrew, Yiddish, English, French, Spanish, Italian, Russian, Portuguese, Arabic, Farsi, Dutch, Swedish and German. The Rebbe himself is author to over 400 volumes of Torah understandings, letters, responsa and talks. The American Jewish day-school system, initiated and pioneered by Lubavitch in the 1940’s, has displaced across a wide spectrum the once-prevalent ideology that Jewish education was a dutiful appendage to the real business of acquiring a secular education. Jewish day schools have since become accepted and desirable even to those who once opposed them. This, as well as the outreach programs of Chabad-Lubavitch, have served as a guide for others to emulate. Innovative and creative programs such as Chabad Day Schools and Gan Israel Summer Camps for unaffiliated children, Jewish Holiday and Moshiach Awareness Campaigns, Chabad Houses on college campuses, and the famous Mitzvah Mobiles, have raised the awareness of Jewish life and Jewish practice among millions of Jews, motivating them to explore and to examine their identity. There is a story told about the Rebbe’s early life that seems to be almost symbolic of much that was to follow. When he was nine years old, the young Menachem Mendel dived into the Black Sea to save the life of another boy who had fallen from the deck of a moored ship. The sense of other lives in danger seemed to dominate his conscience. People “drowning” and no one hearing their cries for help; children deprived of a Jewish education; young Jews on campus; families in isolated communities, under repressive regimes…all in need of help. The Rebbe motivated all those whom he reached to take part in this task to reach out to others, to help them, to educate them and bring them together. For many years, every Sunday morning, huge crowds of men, women and children gathered at Lubavitch World Headquarters and patiently awaited their turn to meet the Rebbe face-to-face to receive his blessing. The Rebbe gave each individual a crisp, new dollar bill to be given to charity, often explaining that the most important thing two people could do when they meet is to help a third person. This extraordinary custom attracted people from all walks of life, many of whom traveled thousands of miles just for this momentary, yet unforgettable encounter. A promising young man who became close to a group of Lubavitcher yeshiva students in France was quite taken with the Chabad-Chassidic way of life and its teachings of warmth and spirituality, with one exception. He was uncomfortable with the extreme reverence the Chassidim have for the Rebbe. He shared his feelings with his friends and they proposed that he travel to New York and pose his concerns to the Rebbe himself. But at the core of all these accomplishments is the Rebbe’s main objective – to inspire all of us to revere and love G-d, His people, His creations, and to devote our lives, individually and communally, to Torah and the fulfillment of G-d’s will. The Rebbe’s brilliant insight into the human experience and world events, his genuine compassion for others, his strong leadership and his profound, endless flow of genius, and his inspiring a generation to earn and longingly anticipate Moshiach’s arrival, made him a legend in his lifetime, and won him the admiration, respect and awe of all who’ve come to know him. But what we know best is what the Rebbe himself has told us in no uncertain terms, that the role of our generation is to actually bring about the Torah-promised Redemption and to prepare ourselves and the entire world for it. One objective pervades it all. One goal is at the forefront of a century of life and achievement: a world devoid of hate and greed, a world free of suffering and strife, a world suffused with the wisdom and goodness of its Creator. No less. In virtually every talk the Rebbe gave, every letter he wrote and every action he initiated, the theme, the sign-off and the objective was: the coming of Moshiach, the attainment of the Redemption. The idea of a universal redemption, heralded by a global leader called Moshiach (“the anointed”) is a basic tenet of the Jewish faith. The Jew believes that the world which G-d created possesses the potential to fully reflect the infinite goodness and perfection of its Creator. And the Jew believes that the realization of this goal is the very purpose to which his or her soul has been invested within a physical body and life. But perhaps no leader in history emphasized the urgency and immediacy of Moshiach as did the Rebbe. In this, the Rebbe was echoing the great Jewish sage Maimonides, who more than 800 years ago had said: a single deed, a single word, even a single thought, has the power to tip the scales and bring redemption to the world. May the Rebbe’s prophecy of “Moshiach Now” be fulfilled immediately!